Pioneer has taken the standard iPod speaker dock, flattened it out and hung it on a wall. 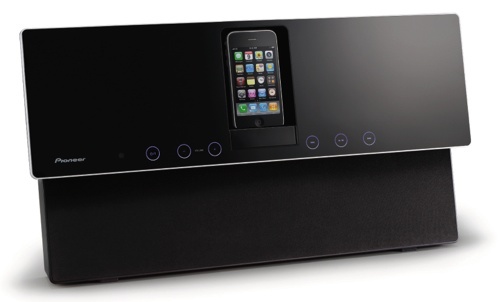 The Kodo XW-NAW1 - which is due to go on sale next month - provides a home for both iPods and iPhones, feeding their output through a pair of 30W stereo sound system. The Kodo can be controlled using its on-board blue-lit, touch-sensitive buttons or the bundled infra-red remote. Put it near your telly, and you can run a composite-video output from speaker to screen. And if you don't want to wall-mount the Kodo, it comes with a stand.